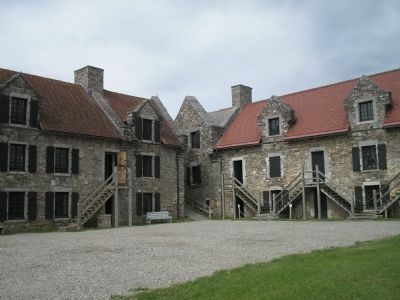 Dedicated to the memory of the gallant band of Patriots led by Colonel Ethan Allen who on the 10th of May, 1775 captured this important fortress and secured for the Americans a valuable base of operations on Lakes George and Champlain. Erected 1900 by Sons of the Revolution in the State of New York. Location. 43° 50.485′ N, 73° 23.25′ W. Marker is in Ticonderoga, New York, in Essex County. Marker can be reached from Sandy Redoubt, on the right when traveling east. Touch for map. 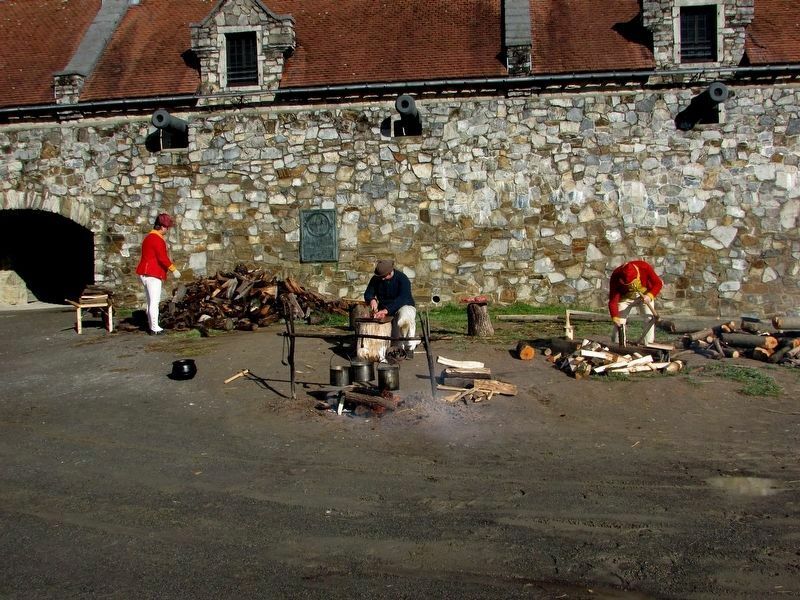 Marker is at the entrance to Fort Ticonderoga. Marker is in this post office area: Ticonderoga NY 12883, United States of America. Touch for directions. 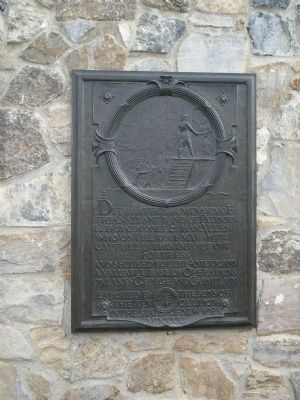 (a few steps from this marker); Gen. Henry Knox Trail (within shouting distance of this marker); Split 13-inch Mortar (within shouting distance of this marker); Colonel John Brown (within shouting distance of this marker); Fort Carillon (within shouting distance of this marker); History of Fort Ticonderoga (about 300 feet away, measured in a direct line). Touch for a list and map of all markers in Ticonderoga. The marker is visible in this photo to the right of the entrance tunnel. Today, visitors are stopped at the entrance to Fort Ticonderoga and asked for the sign of the day. 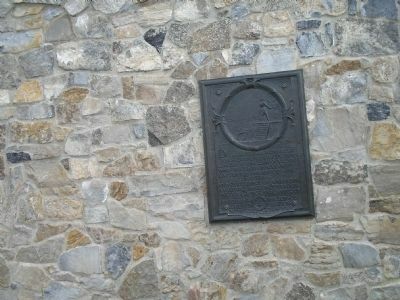 The Colonel Ethan Allen marker is seen on the wall of the Fort. 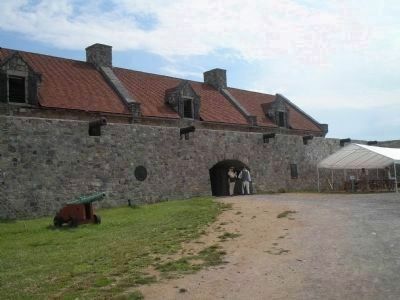 The doorway in the center of the photo is where Ethan Allen demanded the surrender of the fort on the night of May 10, 1775. 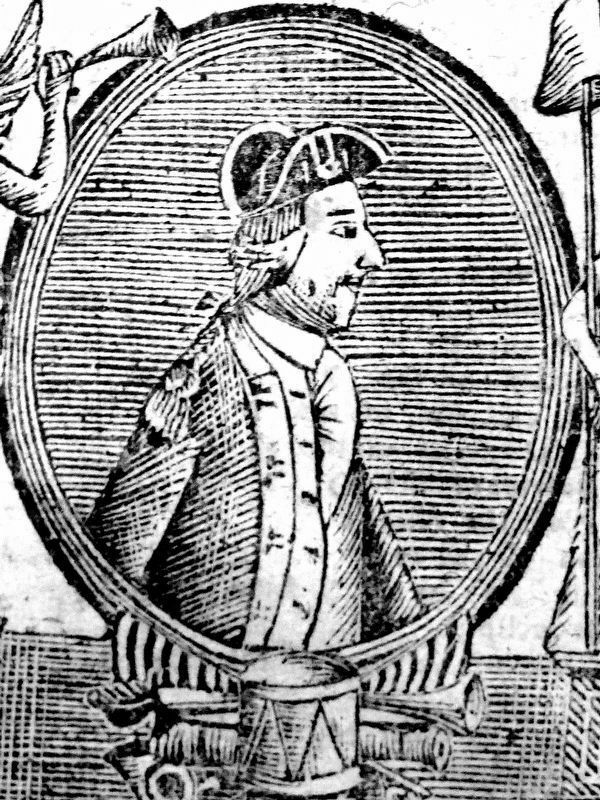 The only known image of Ethan Allen made during his lifetime appeared in Russell's American Almanack For the Year of Our Redemption, 1780, a copy of which is on display in the National Portrait Gallery. 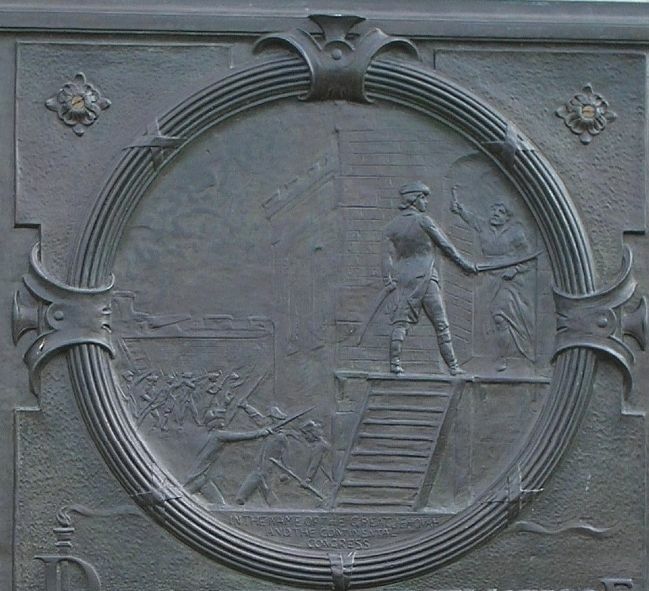 The Relief depicts Ethan Allen demanding that British Captain Delaplace surrender the fort "in the name of the Great Jehovah and the Continental Congress." More. Search the internet for Colonel Ethan Allen. Credits. This page was last revised on November 12, 2018. This page originally submitted on July 22, 2008, by Bill Coughlin of North Arlington, New Jersey. This page has been viewed 1,482 times since then and 6 times this year. Photos: 1, 2, 3. submitted on July 22, 2008, by Bill Coughlin of North Arlington, New Jersey. 4. submitted on November 12, 2018, by Bill Coughlin of North Arlington, New Jersey. 5. submitted on July 22, 2008, by Bill Coughlin of North Arlington, New Jersey. 6. submitted on July 29, 2017, by Allen C. Browne of Silver Spring, Maryland. 7. submitted on July 22, 2008, by Bill Coughlin of North Arlington, New Jersey.